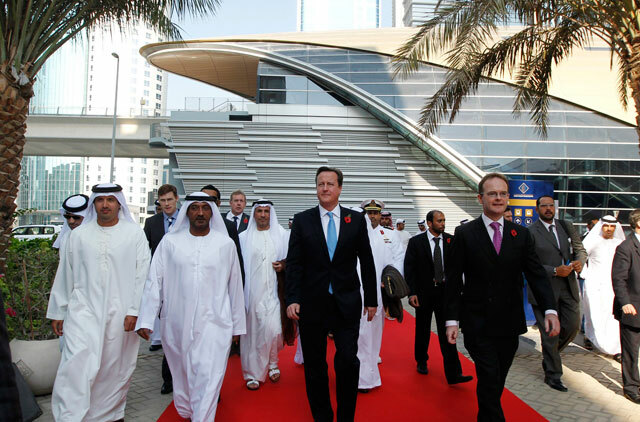 Dubai: British Prime Minister David Cameron met British exporters and exhibitors at the Big 5 Show, praising them for their latest innovations and new products that are expected to help the region's construction industry. "It's such a pleasure to be here and I am happy to lead a trade mission to take forward the conversations that will deepen theunderstanding and existing relations between the two countries and governments," Cameron told the media during his 15-minute whirlwind tour of the pavilion, where media was given a very limited access. During the tour, he spoke to the exhibitors, enquired about their products and businesses. He is scheduled to join British and UAE officials at a signing ceremony of agreements between the UAE and the UK at Meydan Hotel. Cameron will oversee the signing of a number of agreements that is expected to strengthen the bilateral relations between the UAE and the United Kingdom. Bilateral trade between the UAE and UK surged to more than 8.6 billion pounds, that is expected to cross 12 billion pounds by 2015, according to Abdul Rahman G. Al Muttawee, UAE's ambassador to the United Kingdom. "The trade relations between the UAE and the United Kingdom is at its best, in fact, it could not have been better," Al Muttaiwee told Gulf News at the Big 5 Show. "I am expecting a number of agreements to be signed between the two countries during the Prime Minister's Visit." 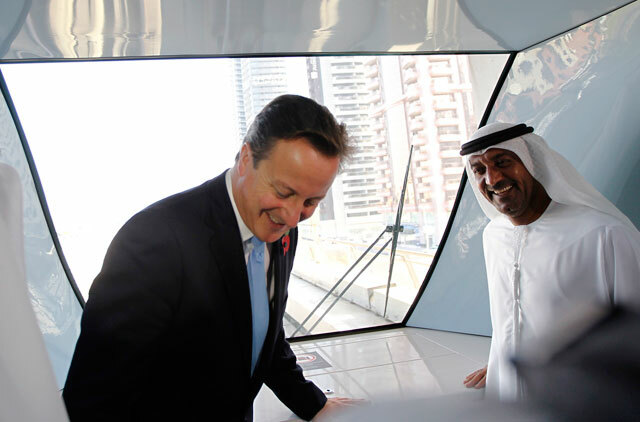 Cameron is expected to meet the top UAE leaders during his visit.